History abounds on Clifton's Chase Creek Street, once rivaling only Tombstone with its reputation as one of the wildest camps in the West. At the beginning of the 20th century, the Clifton/Morenci area was more populated than Phoenix and Chase Creek Street was at the center of all the hustle and bustle. Although the brothels and saloons of yesteryear are gone, the architecture and spirit of that era lives on in the historic storefronts and small businesses that remain. Where history and land come together, The Greenlee County Historical Society is dedicated to the preservation of historic and cultural resources of Greenlee County. Located in the Chase Creek Historical District, the Museum’s building is an artifact in itself - built in 1913 by the Spezia Brothers. 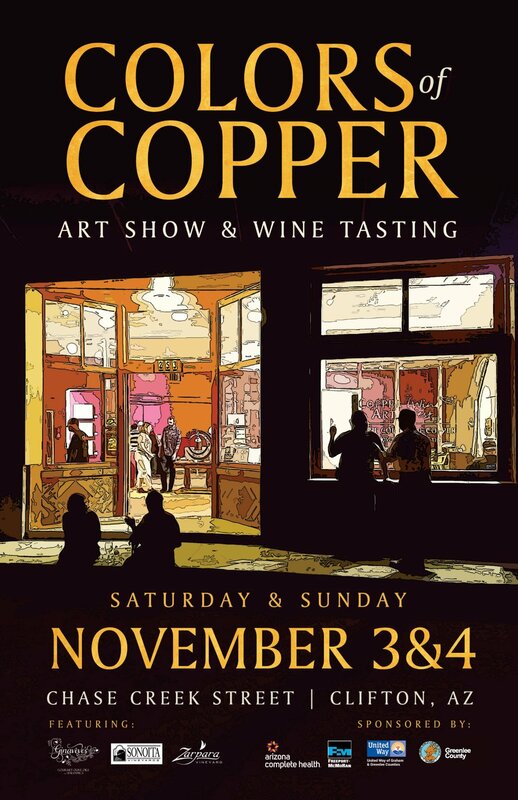 Stop by on Tuesday, Thursday, or Saturday to spend some time getting to know the people and their achievements of the past years. Listed on the National Register of Historic Places, the Union Hall is a fine example of Territorial style architecture. 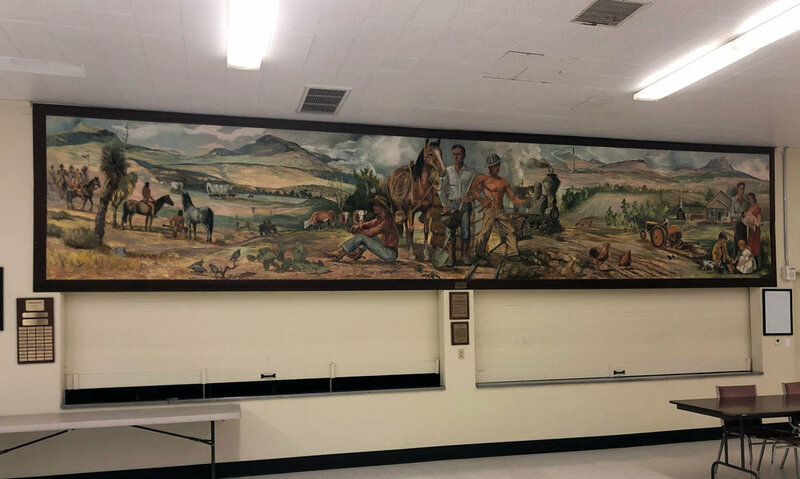 Built in 1916 — significantly, just after the successful strike of 1915-16 — the hall is home to the famous mural commemorating 1983-1986 United Steelworkers strike. Executed in dazzling color, the mural measures 40 feet wide by 10 feet tall and commemorates the legendary labor activist Cesar Chavez, among other symbolic figures. This Hal Empie classic “Greenlee”, hangs in the cafeteria of the Duncan high school. Few knew that it is not only a major artistic accomplishment, but a true engineering wonder as well. Most murals are painted on cement or stone walls. Empie chose imported Belgian canvas for his "Greenlee" mural, and when it was finished it depicted an amazing 40 characters, including people, animals, landmarks, lifestyle, transportation, and local flora and fauna. 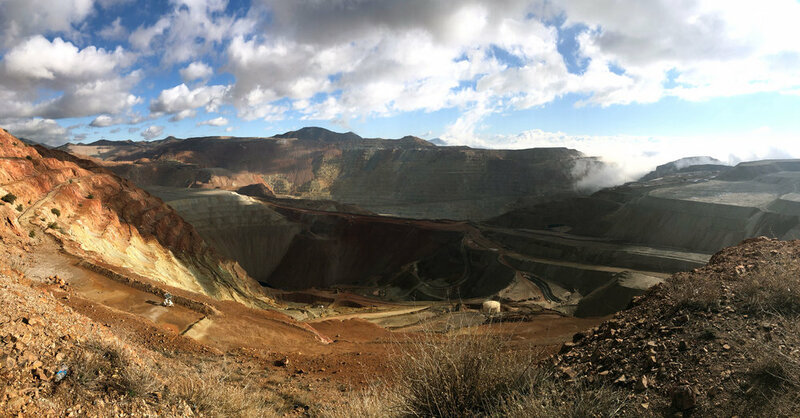 Located about three miles above the town of Morenci on The Coronado Trail at mile post 174, the overlook offers spectacular views of the ever-changing Freeport-McMoran’s Morenci Mine. A haul truck tire is displayed showing the true scale of the heavy equipment being utilized below -- which from this viewpoint appear toy-like as they move about the mine. This rock shop houses a astonishing collection of specimens from all around the world - accumulated through decades of rockhounding, buying, and trading. 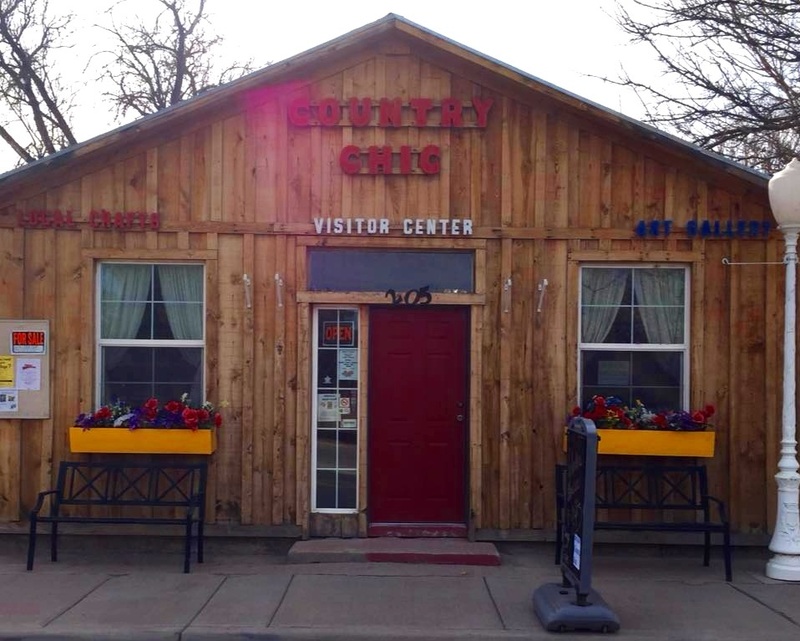 Rounded out with local elements of fire agate (round mountain and slaughter mountain) and petrified wood, and handcrafted items, Afghans, jewelry, and beyond - the gift shop is a treasure box for enthusiasts of fine craftsmanship. Duncan’s Visitors Center also includes a unique art gallery and gift shop, and of course a wealth of information on Duncan Valley and its history. Pick up a self-guided “Historical Tour of Duncan” map here, and enjoy a day-tour through Duncan exploring its historical buildings.